What's special about this Sigvaris 970 Access Series 30-40 mmHg Men's Closed Toe Thigh Highs - 973N? Sigvaris 970 Access Series 30-40 mmHg Close Toe thigh highs for men feature a beaded silicone top band for all day wearing comfort. Available in crispa and black - sold per pair. 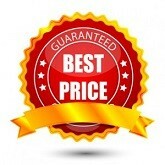 The Access 970 Series offers Sigvaris quality at a value-based price. The Access line is constructed from a two-way stretch knit that increases patient comfort and therefore promotes compliance. Sigvaris medical compression socks and stockings have earned a long-standing reputation for high medical effectiveness and durability. Sigvaris Access stockings offer quality, durability and effectiveness at a fraction of the price. Sigvaris Access, Life for Legs, For men, pour homme, para hombres. Medical Therapy. Sigvaris 970 Access Series 30-40 mmHg Men's Closed Toe Thigh Highs - 973N. * X-Large sizes available in Men's ribbed style only. 1. For knee highs, measure ankle, calf and calf length only. 2. For thigh highs, measure ankle, calf, thigh and thigh length only. 3. 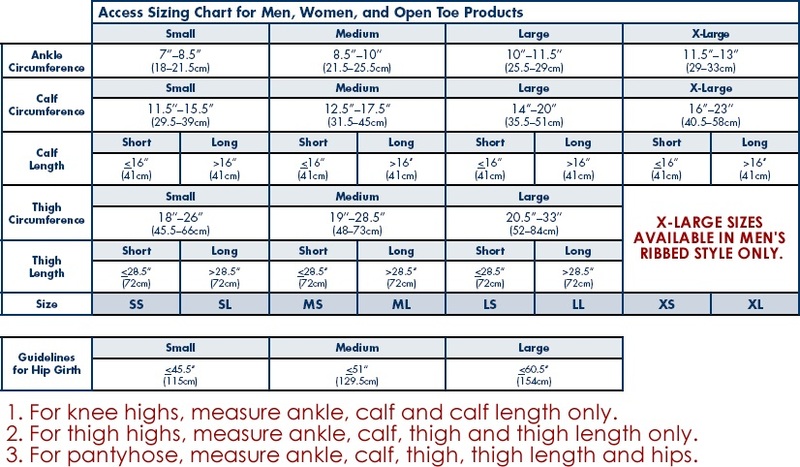 For pantyhose, measure ankle, calf, thigh, thigh length and hips.